It is always interesting to see how Blizzard handles certain situations in Hearthstone (Free) when it comes to certain cards being overpowered or players building decks that are almost unbeatable thanks to a few card combos. Blizzard announced update 12.3 for release this week and it brings three card nerfs. The first is something that will no doubt annoy and please many people. Giggling Inventor will cost 7 mana (up from 5) after Update 12.3. More like “Goodbye Goodbye Goodbye". The aim of this nerf was to make less decks play the card and to make the card less effective in Quest Rogue. 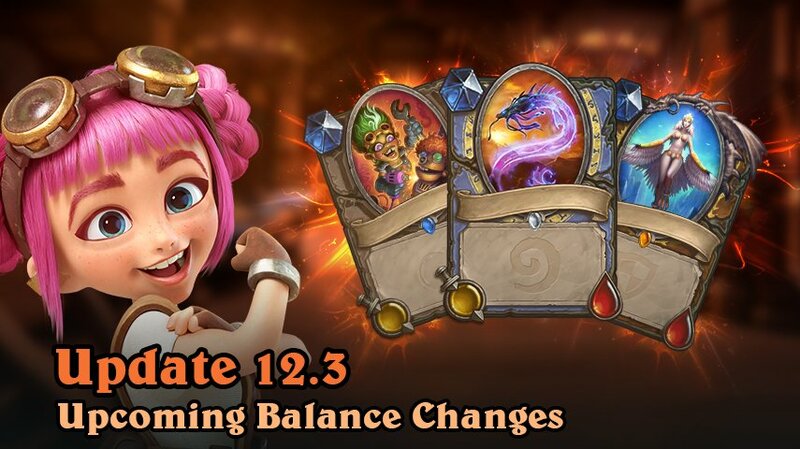 The super popular Mana Wyrm will cost 2 mana (up from 1) with Update 12.3. The aim here was to move away from early game 1 drops because Blizzard doesn’t want the end result of a game to be decided by cards like this plaed early. Mana Wyrm also restricted low cost spells being added. It will now be a lot less effective at 2 mana. The biggest nerf is no doubt Aviana who will cost 10 mana after the update. Aviana currently costs 9 mana which means you can still play Aviana and Kun in the same turn. The Aviana update will only let you use that combo whith the help of other cards like the Coin or Innervate. Blizzard wanted to make the combos with both those cards less consistent. We are about 2 weeks away from BlizzCon. I can’t wait to see what announcements happen for Hearthstone. A lot of people are expecting a Switch port (wishful thinking) but with Diablo III hitting the Switch, this seems more and more likely each day.